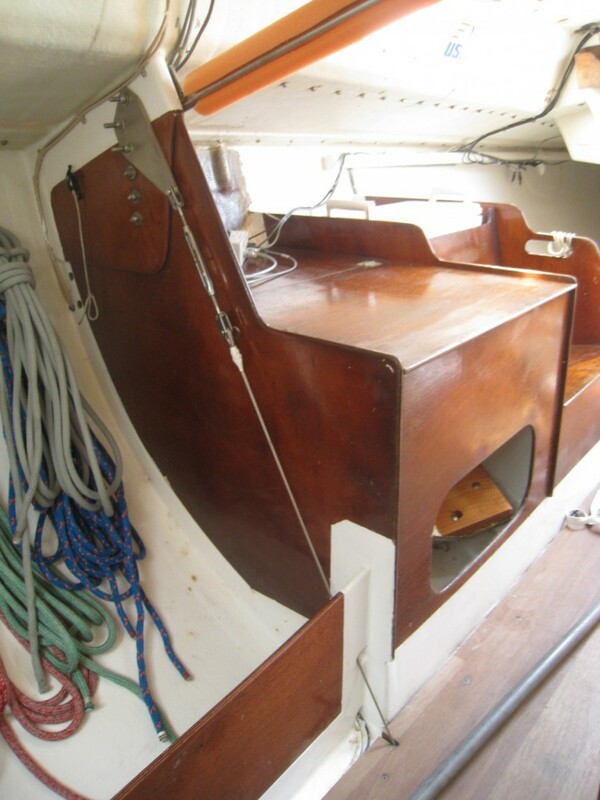 Many Olson 30 owners have added a beam that runs athwartships on the aft side of the main bulkhead. 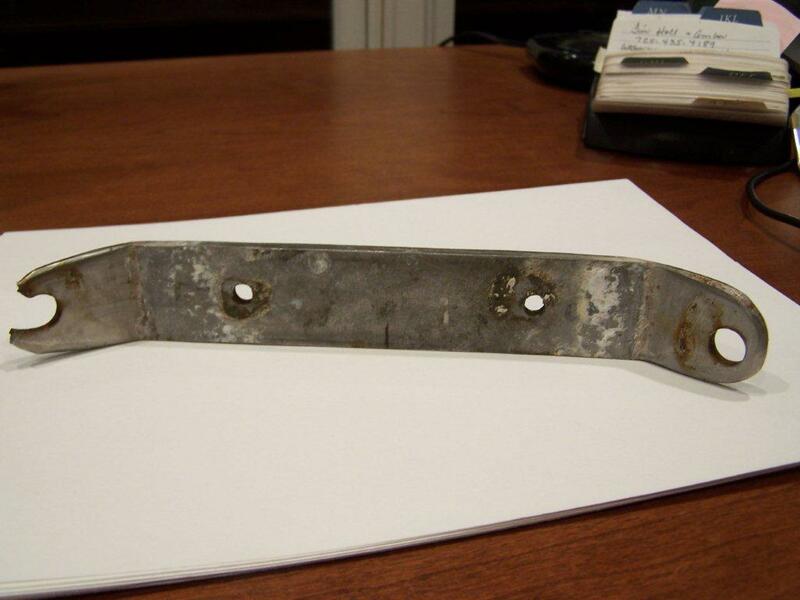 This beam is usually bolted through the chainplates using the top two chainplate holes. This beam has become affectionatley know as the “Beam of Destiny”. 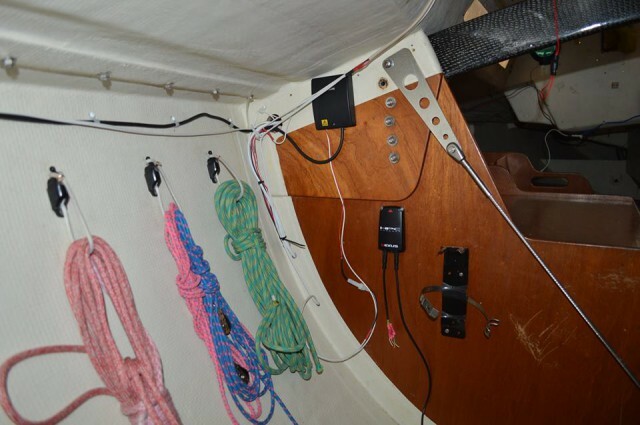 In addition, “Jockstraps” have been installed from the base of the mast to the chainplates on the forward side on the main bulkhead on each side of the boat. 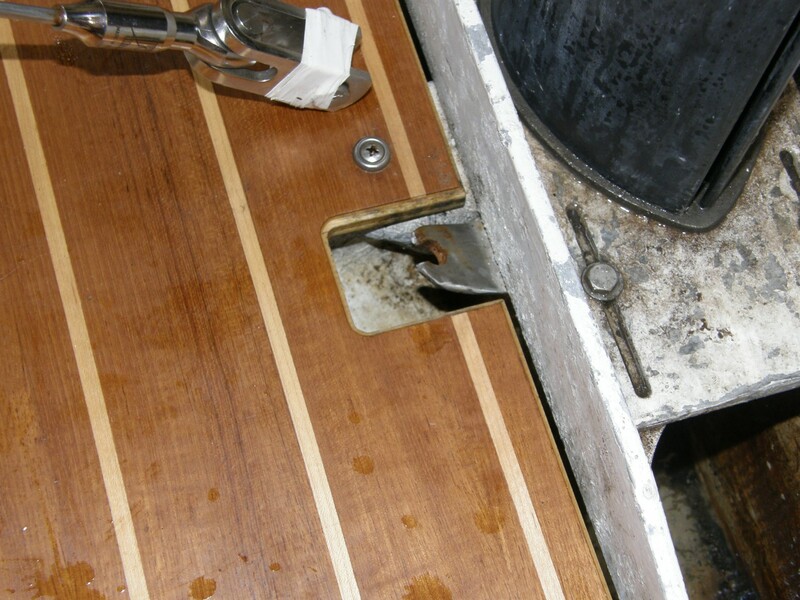 The objective of the “BOD” is to reduce the amount of hull flex and to enable the boat to carry more rig tension. 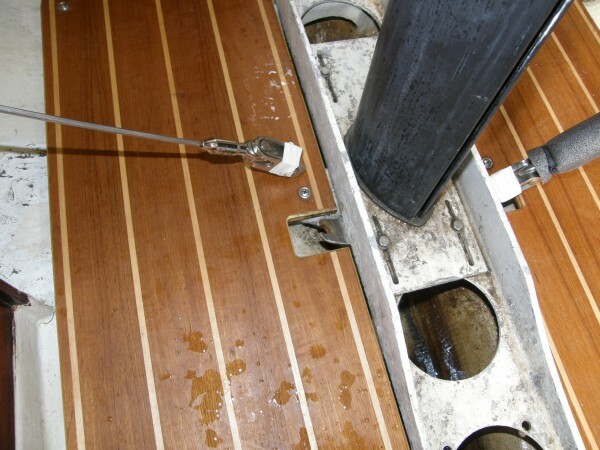 “Jockstraps” help control mast compression as some boats have fractured the stringer that sits beneath the mast step, as well as providing important triangulation to the BOD. 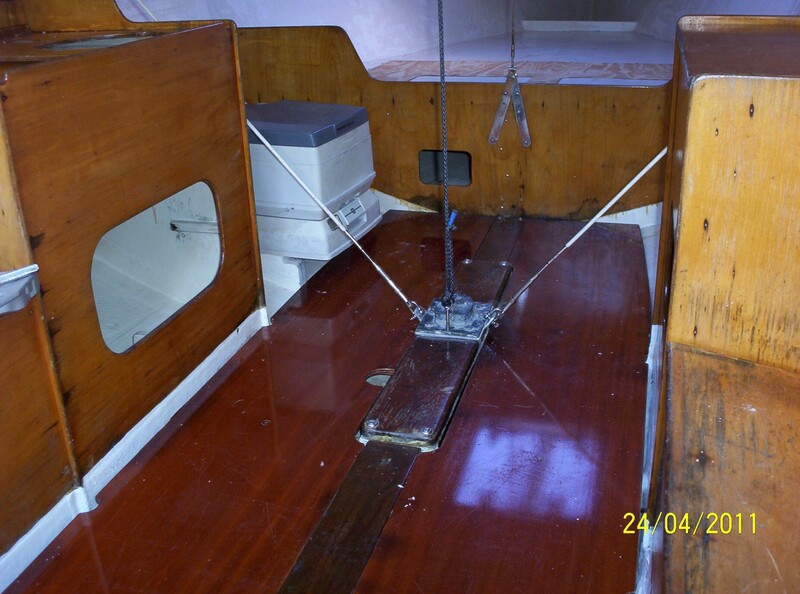 The BOD and Straps together behave the same as the top spreader of the mast, stiffening the boat considerably. Both of these items became class legal back in 2000, however, it’s important to note that they are not required from a safety point of view. 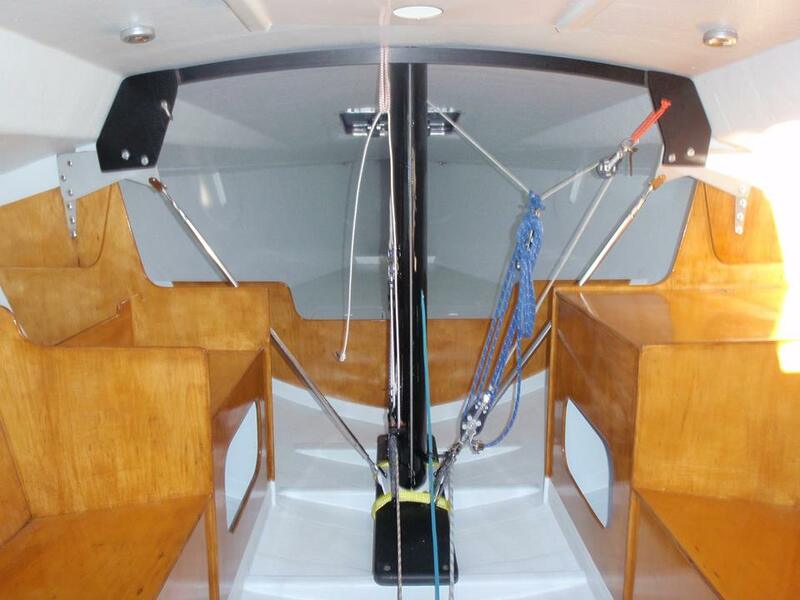 They do, however, stiffen the boat and reduce hull flex which appeals to the serious racer! They have been built from stainless steel, laminated hardwood, and carbon fibre. Carbon Fibre Beam of Destiny from hull # 121 ICHIBAN. Note also G10 backing plates throughout this lovely, clean interior. 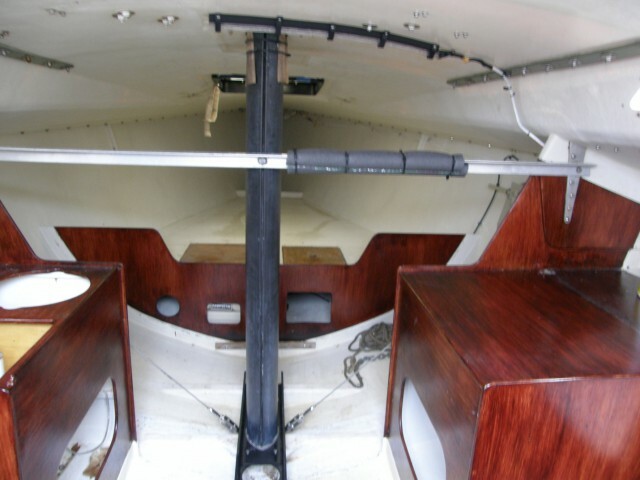 ICHIBAN also has cables fore and aft of mast from mast base to cabin top, to counter upward deflection of deck from the halyard turning block loads. Beats Per Minute (previously Ultraman) has a carbon BOD which was made by Phil’s Foils (AKA CCI) in Ottawa. 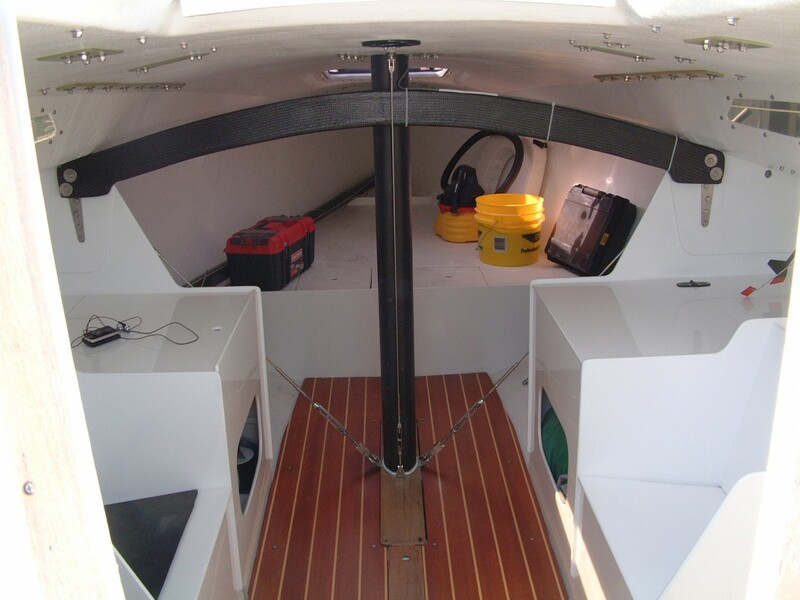 This carbon BOD was designed and sold by Marine Outfitters / Dave Wilby. May or may not be available from Phil’s Foils. Jock Strap terminates at upper chainplate bolt. 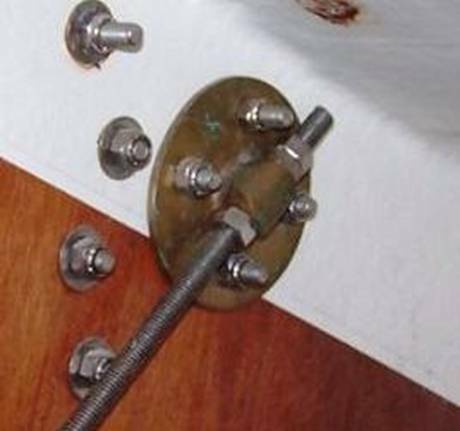 We wonder if a single off-center mounting point is the optimal means of attaching the bracket, but this system is clean and well made, supplied by Ballenger we believe. 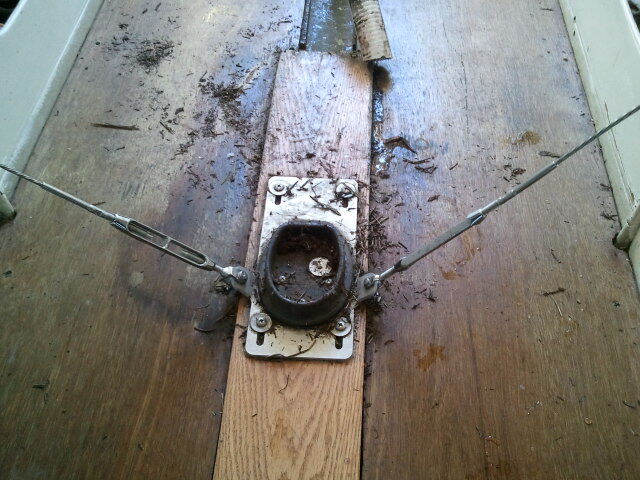 BOD fastens to top chain plate location. It would be better to have the ends of the BOD fastened at two or more points rather than the single point seen in this picture. 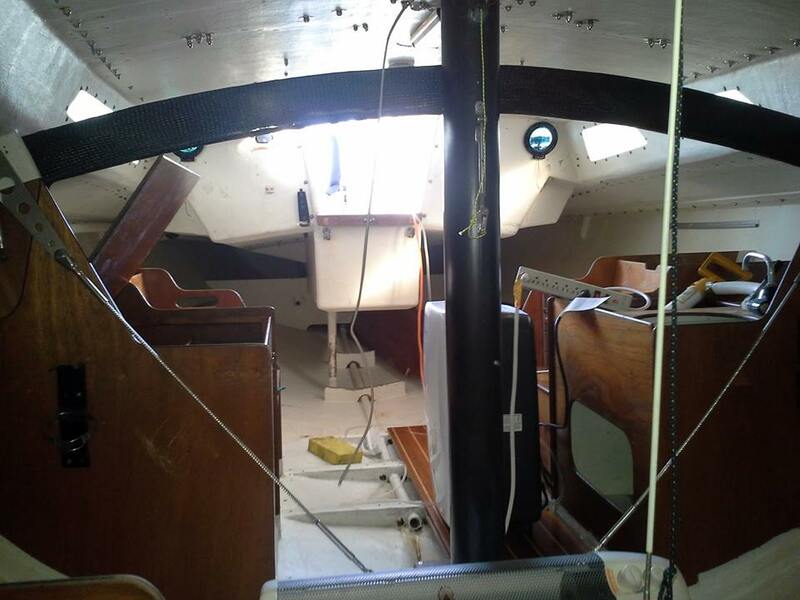 Good view (looking aft from vee berth) of BOD and straps installed in Bates Per Minute. 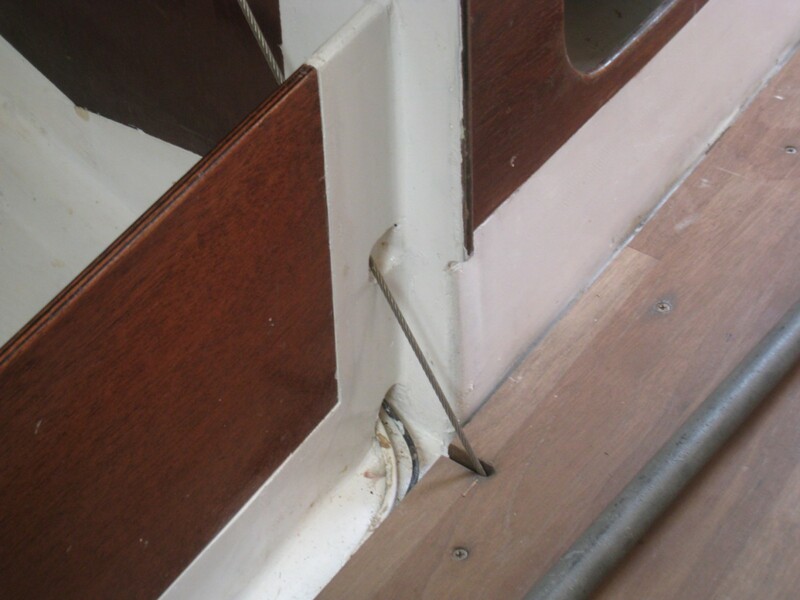 Note also turnbuckle on forward side of mast, this was installed on many late production boats to tie deck to mast. The Source has a very robust BOD and straps arrangement. 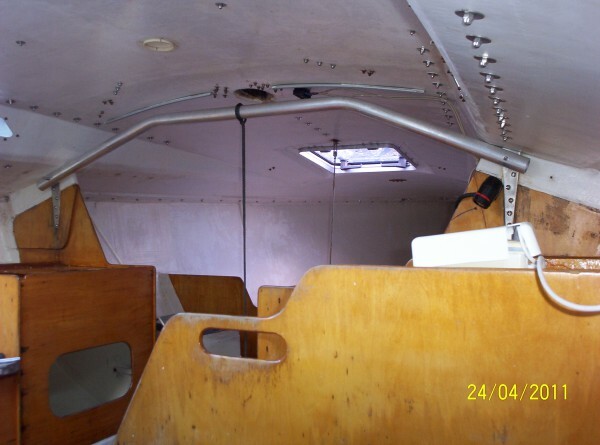 The BOD is made from several components, a mounting bracket under the chainplates, and attached to the bracket is a fabricated aluminum beam which hugs the cabin top for maximum headroom. Closeup of the ends of BOD on The Source. 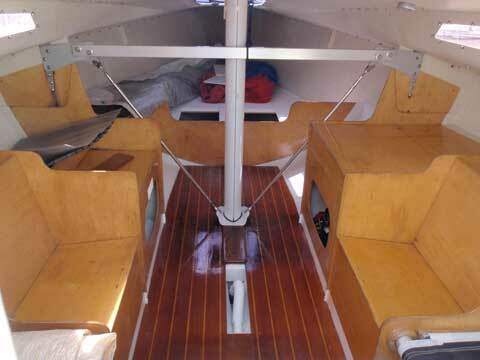 The multi-piece construction allows a very stiff Beam that can tuck into the cabin top neatly. 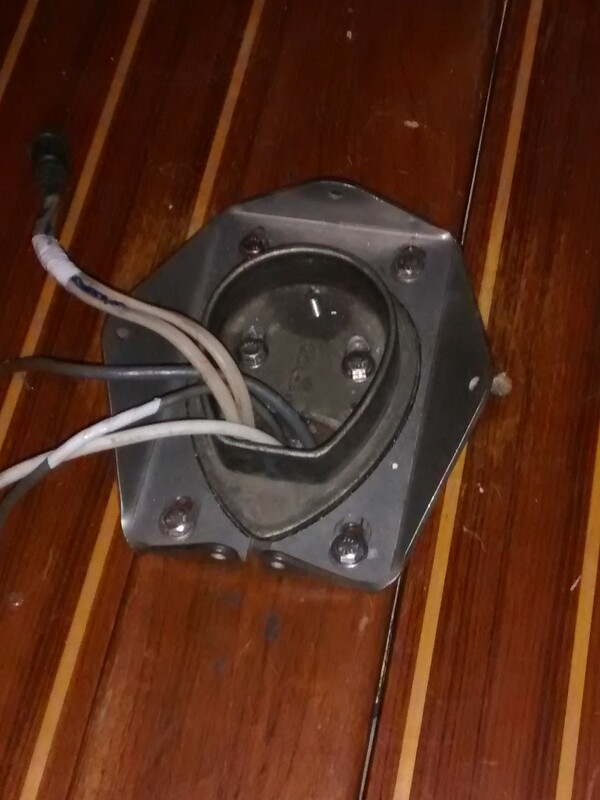 Crude home-made beam constructed from aluminum angle. Aluminum tube Beam is formed to maintain height. Lashing ties this beam to the mast step. Slice also has jock straps fitted. They terminate further from centre that is normal. Most jocks terminate at a plate beneath the mast. Detail of the jock straps on Slice. 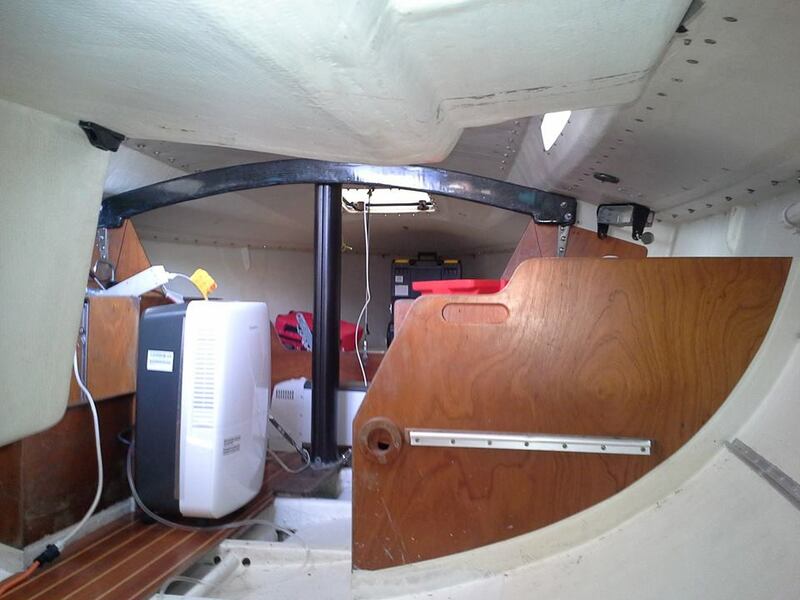 Also of note are the longitudinal stiffeners fitted to Slice between the main bulkhead and vee-birth lower bulkhead. 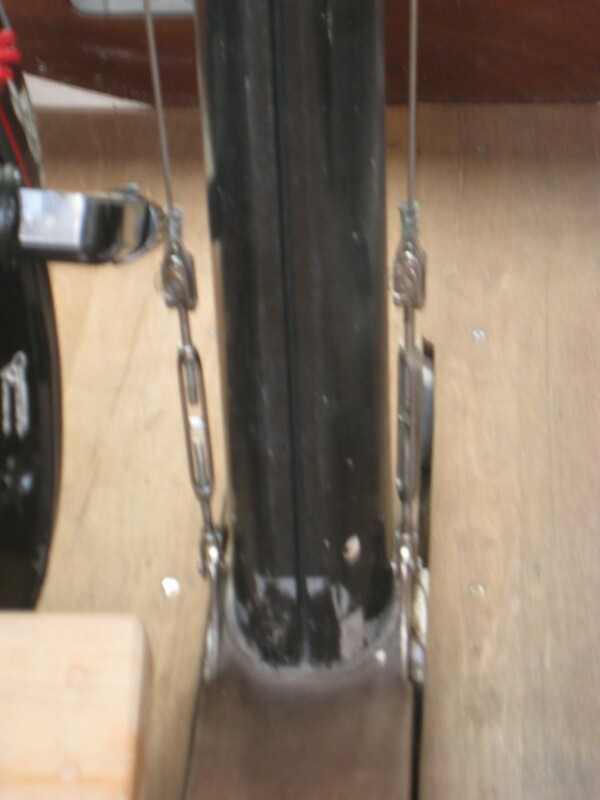 Jock cables pass through the stiffeners. Slice uses vertical cables to tie coach roof to mast base. 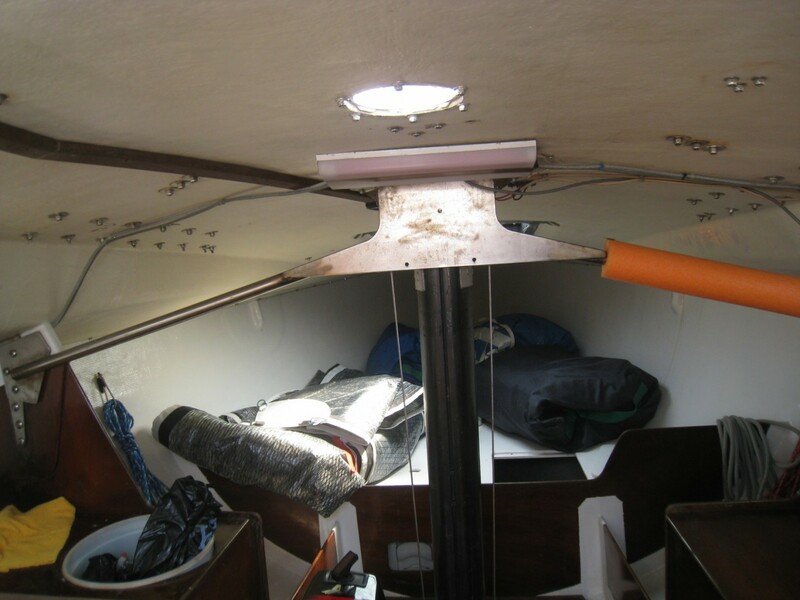 The vertical cables help prevent the coach roof lifting from halyard tension that is acting on the mast base turning blocks. 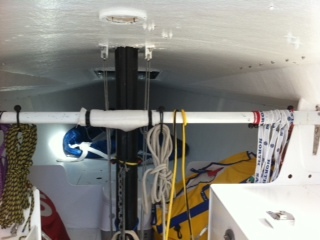 Various configurations have been used for a mast plate to catch the Jock Straps. This one is probably a little delicate. 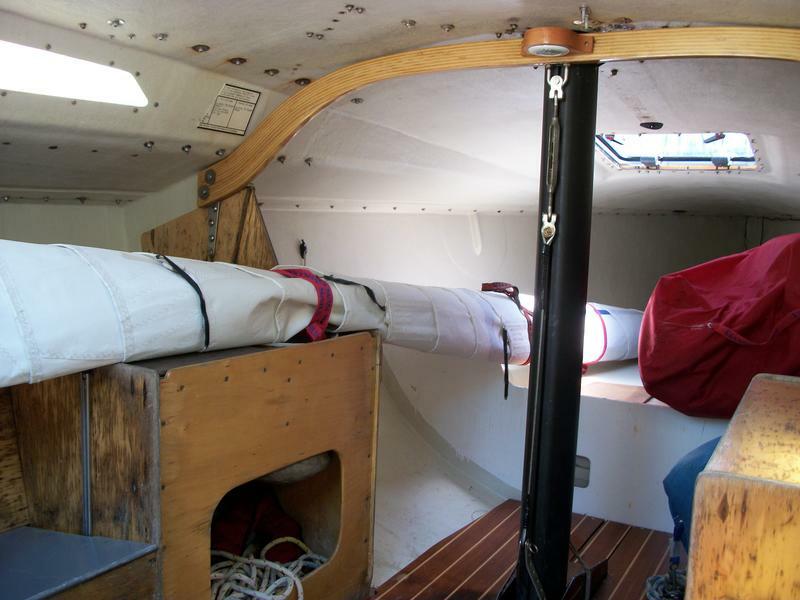 Jock Straps in this image are supplemented with a Dyneema strop running vertically, vertical strop will help prevent coach roof from lifting from halyard load on mast base blocks. 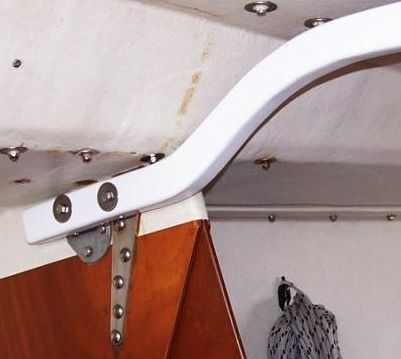 This mast plate from Boom is adjustable, has tangs for vertical cables fore and aft, slots for rake adjustment and has much stronger tangs than others we’ve seen. 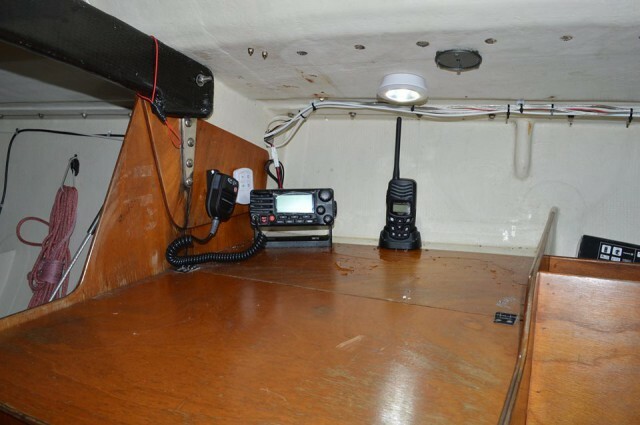 Slit design in aft end of plate is to allow mast electronics cables to pass through plate when installed. 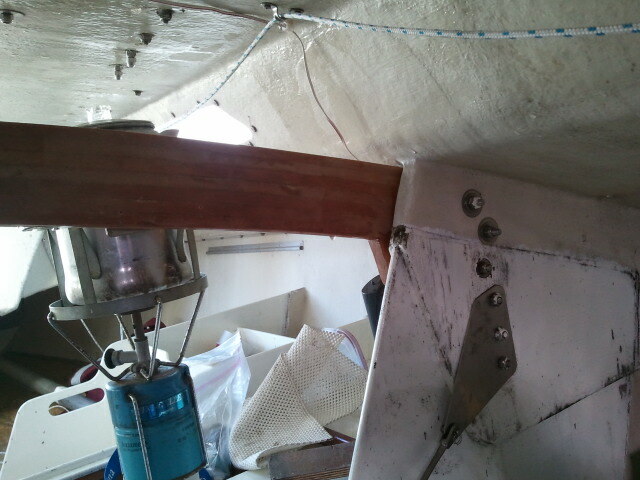 Some owners have incorporated adjustability into the mast plate to allow tuning of mast rake. 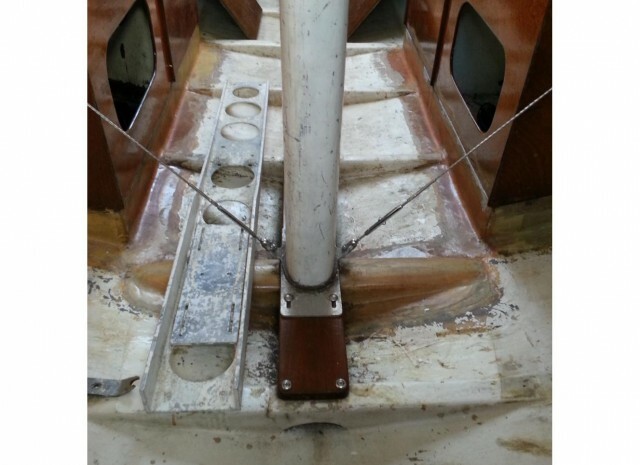 This boat has a heavily reworked mast step. 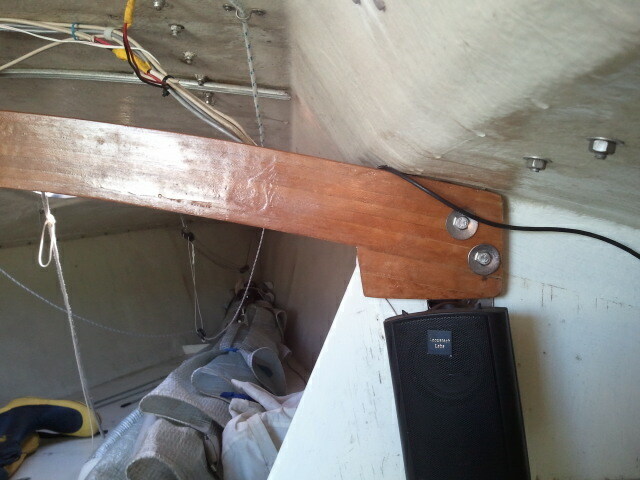 Aluminum channel has been drilled and a slotted mast step added with provision for jock strap attachment. Jock strap attachment tang has failed. Strap tang hole has broken away. Original strap tang was clearly under-designed. We’d like to see this be at least 2x as wide as it is and twice as thick as well. Replacement strap looks much better made, if still a little on the small side. The loads on this are at least 1000lbs if the straps are properly tensioned. O’Naturel has a home made beam of laminated Sitka spruce. Light, still and effective, inexpensive if you make it yourself. Looking forward on O’Naturel. This beam is almost the same shape as the carbon version. Another home made laminated wood BOD. This one uses a vertical cable tying the beam itself to the mast base. This stiffens the BOD but does not address the tendency of the coach roof to lift in heavy upwind. Painted laminate Beam maintains height below. The curved beams need to be designed to maintain stiffness since this kind of curved beam is not inherently stiff in compression. 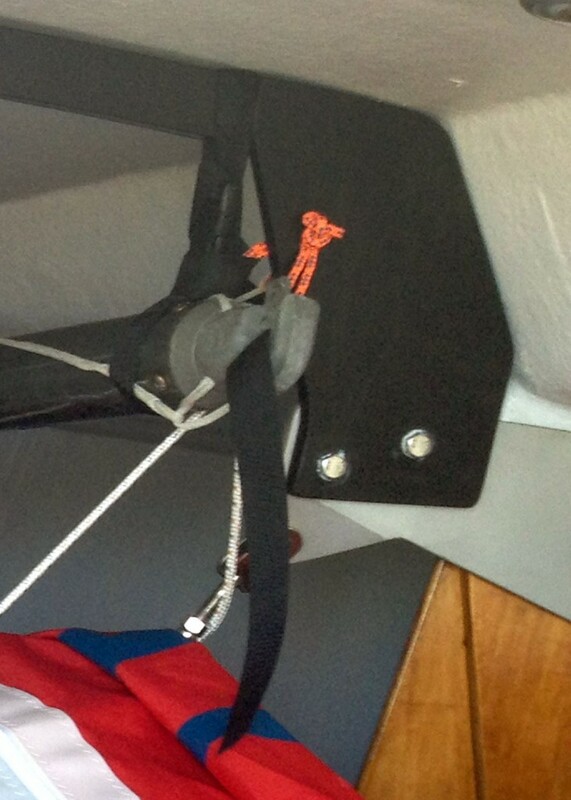 This boat has an interesting top mount for the Jock Strap that incorporates tension adjustment. 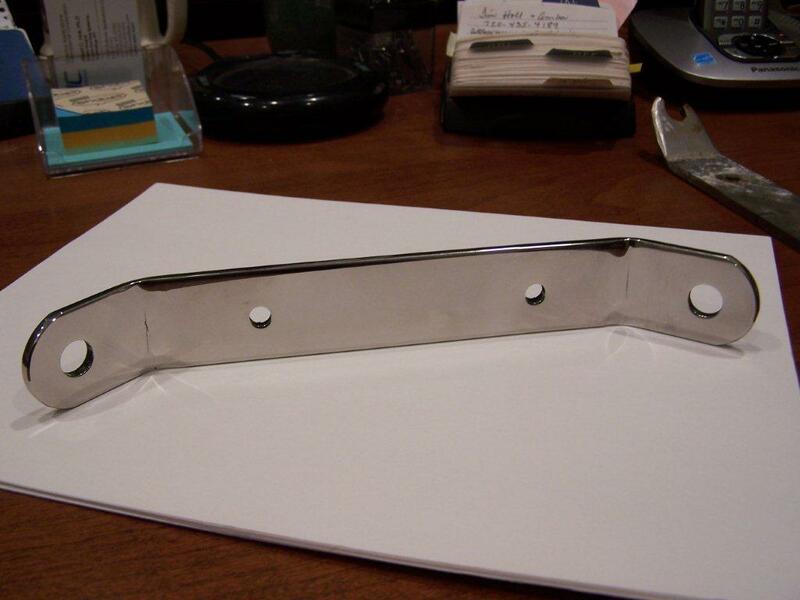 Super simple aluminum Beam is stiff and cheap to make. Sacrifices movement forward but makes a great place to hang sheets! Do you need BOD and Jock Straps to point high?